After a long, dreary winter, we’re ready to shed our outerwear and head back to the farmers’ market. Dark, leafy greens and root vegetables are making way for their colorful counterparts, like rhubarb, asparagus, and strawberries—and we’re simply itching to turn them into bright, vibrant meals. Here’s our shortlist of the recipes we can’t wait to cook with spring’s brightest stars. Each one will remind you of longer, warmer days—and that summer is not far behind. 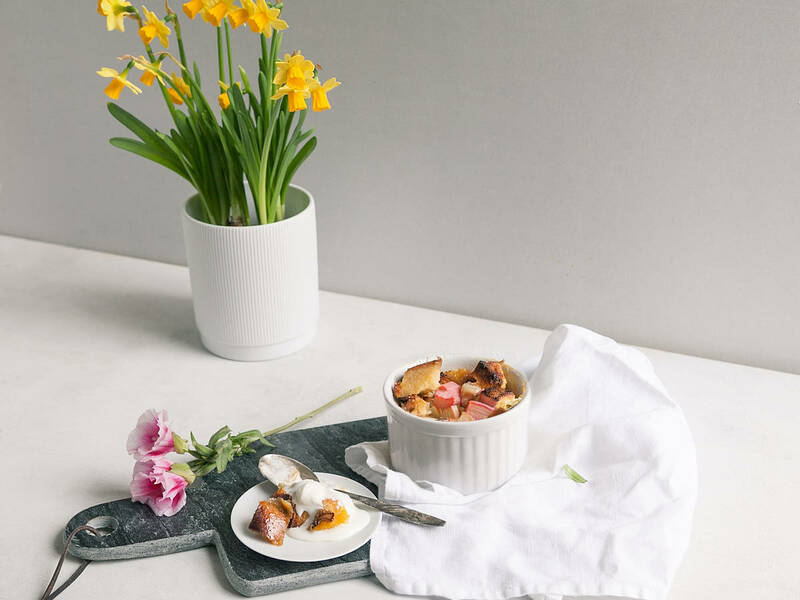 Not that we need to elaborate much on this beauty—but the sour rhubarb so delicately compliments the rich, sweet, creamy bread pudding that it’s nearly the perfect spring dessert. Crisp, refreshing, and filled with interesting flavors, this salad is nuanced in flavor and perfect for a light dinner or as a side at a dinner party. No one said pasta is only for cold months. This is the ideal warm-weather pasta, with a light olive oil-based dressing and the bite of pleasantly bitter rapini. A true spring beauty, this beet salad stands out in the crowd for its vibrant color and zesty dressing. For those late-spring hot days, cool down with homemade ice pops. It’s also a great activity to do with kids! Two of the season’s favorites, asparagus and strawberries were made to meet atop this spring salad. Need something to wash it all down with? Let us suggest sangria—because nothing says “Goodbye, Winter!” like a cold pitcher of this fruit-filled refreshment.